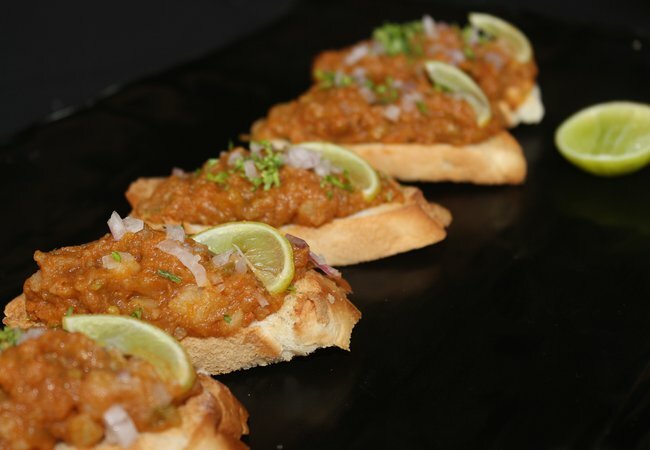 Kids love pav bhaji and bruschettas are the trendy things to have on the menu. Pav bhaji made in healthy and hygienic way to go in healthier menu and wheat bread is used to make baguette. It is then topped with bhaji and garnished with fine chopped shallots and cilantro.